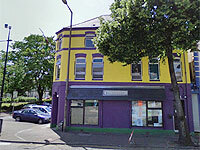 Voted the Number 1 hostel in Wales by Hostelworld.com customers in 2007. This highly recommended hostel offers cheap and cheerful accommodation to backpackers. A communal kitchen area and an in-house bar ensure you get the full backpacker experience. Situated in the Riverside area of Cardiff this hostel is only a 10 minute walk away from the Millennium Stadium and city centre.